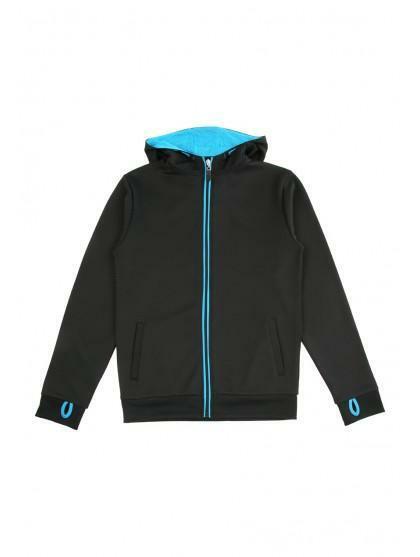 This older boys black hoody is a perfect cover up for after his sports activities. 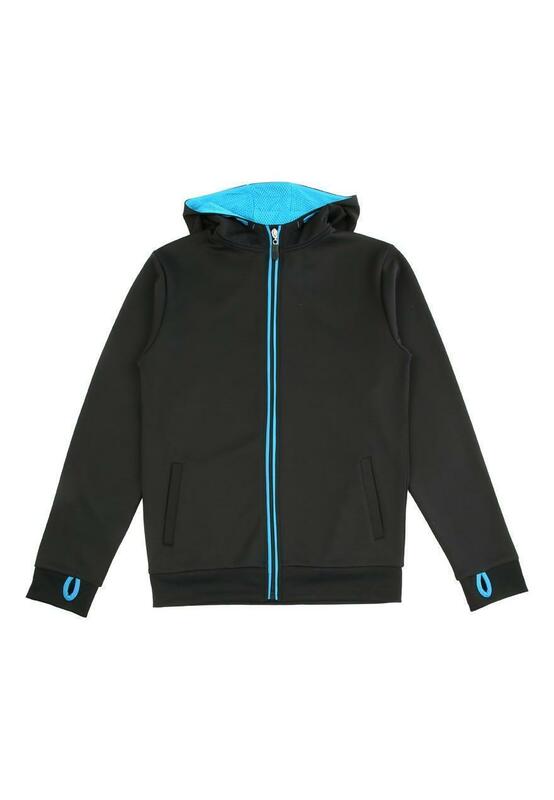 Featuring a contrasting trim and contrasting mesh hood lining, this is a cool yet functional piece to add to his sportswear attire. Lovely quality item. Nice material.